Less than 40% of employees have their employers’ support to volunteer. But why is this the case? Big firms are encouraging their staff to volunteer, Novo Nordisk, a major Danish pharmaceutical company encourages its employees to volunteer abroad providing employees with 80 hours paid time off. If such large companies are getting great results from their staff volunteering why aren’t more business jumping on the bandwagon? But what are the benefits for companies to encourage their employees to volunteer? From teamwork to self-directed challenges, volunteering can help you apply and develop new skills and improve those you already have. Rather than sending employees on training courses where skills are often taught in a classroom from the front, staff can find more freedom to use transferable skills in a practical way and learn new ones which can be brought back into the office. The UK’s National Health Service found that volunteering keeps your brain so active that it can actually hold off diseases such as Alzheimer’s. Stepping away from your desk to be more productive seems like an alien idea which would never work. However new studies show, taking regular breaks and time off to do something meaningful actually increases productivity, compared to the 60-hour week workers. Volunteering actually increases brain functioning. Volunteering helps reduce stress, anger and anxiety levels, it also helps reduce the risk of depression through increasing social interaction. Not everyone leaves the office on Friday for adventurous, active healthy weekends despite what people’s Instagram and Facebook might suggest. These days it is too easy to spend weekends binge-watching Netflix, flicking from show to show. Volunteering can be refreshing and into a change of scenery, with a sense of fulfillment improving employees mental health and sometimes people little a gentle push in the right direction. Having your work back you and encouraging you to do something can feel very supportive. With companies providing days off to get away and volunteer, employees are making the most of this and even volunteering abroad. Looking forward to helping others and making a difference whilst spending your evenings and weekend in a different country. This can boost morale in the workplace and make the week or month ahead seem less overwhelming, especially if staff can volunteer together. Practically all volunteer work involves people and will develop communication skills, even if planting tree saplings. Whether it is communicating with your team, group leader or with children and people you are helping. There will often be people outside of the usual social demographic that can provide interesting insights speaking to a wider range of people from more diverse backgrounds than the team back at the office. With more and more companies encouraging their staff to get away and volunteer. It has become a great place to network and meet a variety of different people. Networking whilst volunteering also sets a great brand image in their mind. Humans are wired to seek out comfort, our brains want us to have nice easy lives. Nothing is more comfortable than what you know. Volunteering and stepping outside of our comfort zone help growth. When you see that you can succeed at something new, it is a massive confidence boost. We wouldn’t get to where we are as adults without trying things unknown. Following some volunteering in Africa, for example, staff may be more resilient to cope with any future process or environmental changes at work as they will have overcome their comfort zone and survived as a volunteer in a challenging environment! Tree planting, building and walking with people in care are just a few physical ways of volunteering which improve your health. People who volunteer regularly live longer, as volunteering can lower your blood pressure and has shown to help with cholesterol. As a business, you can have peace of mind knowing your employees are calling in sick less as they’re physical health is better. Again, you don’t know what everyone truly does at the weekend! Volunteering can strengthen your business and your relationship with your employees. 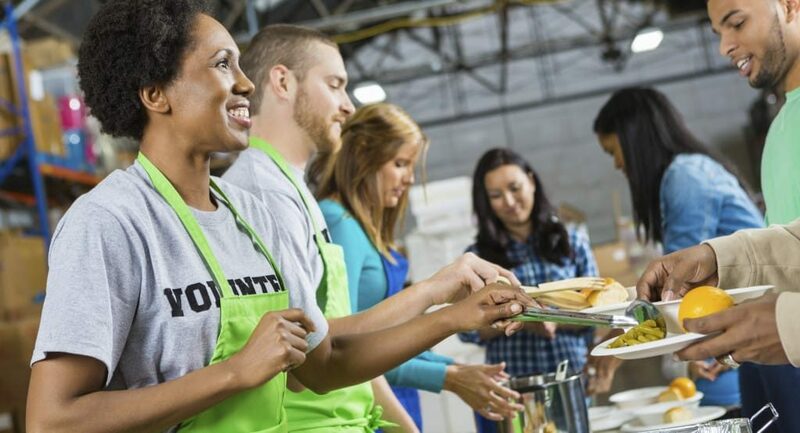 Not only could you encourage your employees to volunteer, you could encourage them to volunteer at a specific charity and pursue a partnership with the charity. Good brand image and opportunities for PR and media interest will benefit the company. The days of sitting around a table in meetings and shouting out a “fun fact about yourself” are over. Although some managers wanted staff to feel relaxed with the firm to spill forth all their great ideas for the company, other managers may have hoped simply that staff would come out motivated enough to hit targets. A meaningful activity that has the ability to truly change your employees’ mindset and perspectives has the ability to bring back real confidence to help any business owner or manager, whatever their ultimate goal is. Staff will have seen at first hand the positive results of their volunteering work and may have a go at trying the same back in the office. And unlike the team bonding exercises back in the office or over at the army assault course, volunteering success does not depend on being the loudest personality or the most active. Quieter and more passive members of the team may realise they have just as much to offer as their flamboyant outspoken colleagues.